We are happy to announce our New Concierge Hotel Reservation Services. Let us do the work for you, and save you, your family and friends both time and money with discounted rates at some of the finest Hotels and Resort in Tucson. Saguaro Buttes has partnered with Radisson Suites Tucson, Loews Ventana Canyon and The Hyatt Place to offer special package pricing for you and your wedding guests. For locations of the Hotels click on Hotel Map. Simply choose which Hotel or Resort you would like to reserve, fill out the form below, and you will be contacted by a representative of that establishment with the discounts that are offered to Saguaro Buttes Brides and Grooms, their family and friends. 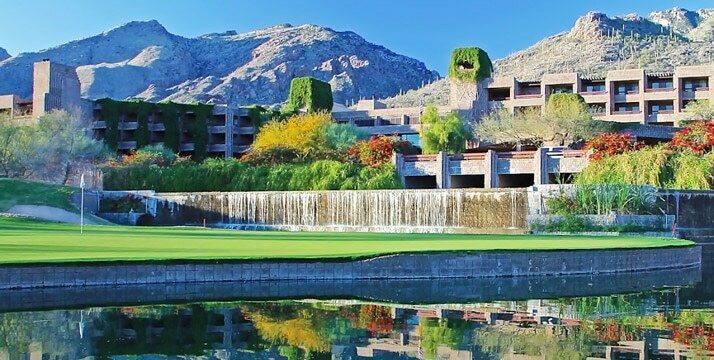 Welcome to the breathtaking Loews Ventana Canyon. If you can tear yourself away from spectacular views of the Catalina Mountains, consider one of the many activities the resort has to offer. Enjoy one of our 398 hotel rooms – including 26 suites – all with a private balcony. Spacious rooms give our guests ample room to relax and enjoy their surroundings at our Tucson AZ hotel. The oversized desk and ergonomic chair provide a traveling office and the private balcony offers a stellar view of the starry night sky as you work. Experience the innovative twists on classic South Western dishes that Chef Willett serves at The Flying V Bar & Grill. Tableside guacamole and Loews Signature cocktails complement your meal as you sit in our alfresco dining room. Two championship golf courses traverse the canyon: Both were designed to take full advantage of the beautifully rugged natural landscapes, including cascading waterfalls and plunging ravines. New to Golf? Take a lesson from one of our professional golf instructors and learn to putt like a pro in no time. Tucson Airport offers complimentary 24-hour shuttle service to and from the airport and other locations within a five-mile radius. Desert Diamond Casino, Davis-Monthan Air Force Base, and the Pima Air and Space Museum are just some of the many attractions located only minutes away. The Radisson Suites Tucson is one of our preferred vendors at Saguaro Buttes and offer along with their beautiful facilities and great location a very reasonable shuttle service to and from Saguaro Buttes during your wedding day. 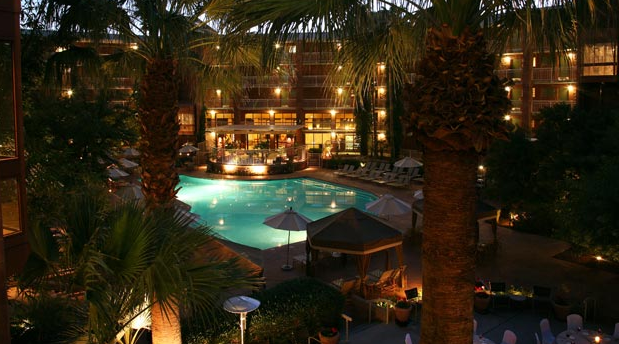 They describe their faclities as follows: â€Experience the courtyard oasis in the center of it all at the Radisson Suites Tucson, perfectly situated for guests who want to explore the cityâ€™s winning combination of rich local culture and magnificent Southwest scenery. Lush, tropical grounds set a relaxing and refreshing environment, while gracious hosts inspire amazing experiences. With championship golf courses, renowned spas, and a plethora of scenic destinations within minutes, the all-suite accommodations at this Tucson hotel are perfect for travelers of all types.â€ Their web site is (Click Here) and Julia McGaugh is the contact person and is the â€œNational Sales Managerâ€ Her phone number is 520-239-1107 and her Fax number is 520-886-7968. Their address is 6555 E. Speedway Blvd. Tucson Az. Please complete the form below and a representative will contact you with pricing and availability.